Look what my friend Janet made! 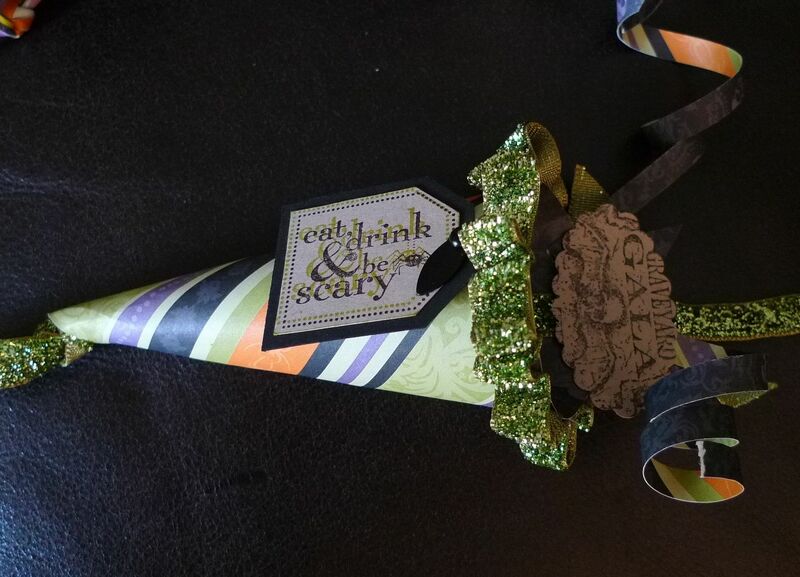 Aren't these Halloween cones great? I love all the embellishments she put on the cones. 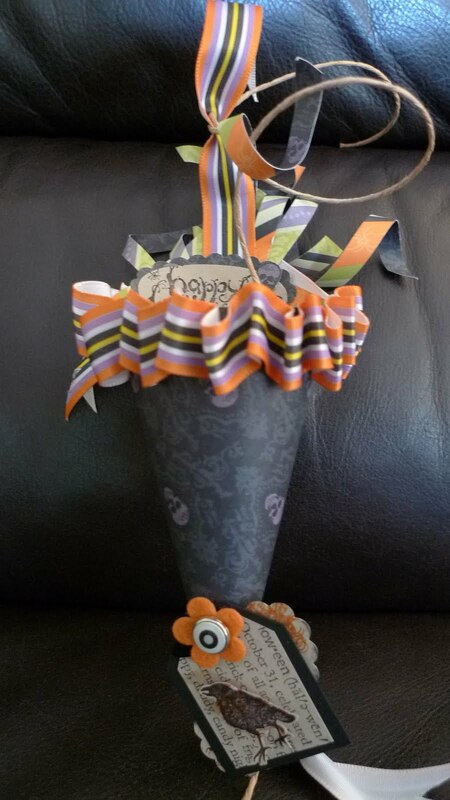 Janet followed a video tutorial done by Kimberly Van Diepen. She's a Stampin'Up demonstrator in the US and has an amazing blog. Janet used Cast A Spell Designer Series paper and Graveyard Gala stamp set. The designer paper is retired but Wicked Fun Specialty paper would look just as good. I hope you try one.